Custom Keynotes based in Chicago, Illinois, is proud of our reputation. Please take a moment to read a few keynote speaking and training testimonials from some of the people we have coached. "Eileen is the gift that keeps on giving! We have attended at least three trainings with Eileen–both on site and through webinars. She just keeps us coming back for more! After one training with Eileen, she is yours forever! If she doesn't know the answer she will find the answer and no question is too small. Eileen has never failed us and many times has gone above and beyond what anyone would expect in helping our company navigate the federal procurement system and plan an effective strategy. She brings an intense amount of energy and sincere caring to her work. Relationship building is what Eileen Kent is all about." "Over the past years I have heard Eileen Kent speak at the annual GSA Industry Days in Kansas City. Being multi talented, she talks to us at a level we can understand. The content of her speeches are always germane to the event and at the level of people in the audience. For those who aren't familiar with Eileen, put her down on your checklist of "who do I really want to hear speak." When you do, remember you heard it here and you will walk away with new ideas and the positive inspiration she creates behind it." "Eileen is versatile, perceptive, passionate, and achievement-driven Sales Professional with proven success in development and delivery of highly successful sales programs. Eileen is a gifted teacher and well respected SME in her field. Over the years, she acquired a strong following of professionals fortunate to experience her winning presentations." "Eileen's insight and knowledge have been extremely helpful to us in our federal work pursuits. The energy and excitement she maintains throughout the session is refreshing and her professionalism and ability to present the information in a way that is both engaging and informative is very effective. It has been a pleasure having Eileen Kent speak on both occasions and would recommend her training sessions on Federal Sales and Marketing to anyone. Thanks again!" 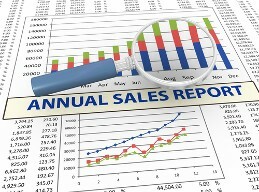 Contact us today for more information about our sales and marketing consulting.